"Who do people say the Son of Man is?" is still such a thought-provoking question but perhaps even more pressing is the question Jesus asked directly to His disciples, "Who do you say that I am?" We know the answer Peter gave. The text of Scripture then goes on to say, "Jesus replied, 'Blessed are you, Simon son of Jonah, for this was not revealed to you by man, but by My Father in Heaven'" (Matthew 16:17). That very same question, "Who do you say that I am?" is still profoundly relevant in this present day and age and yet Jesus asked it over two thousand years ago. The answer is very clear to those of us who are born again believers; for the same revelation Peter had then now comes to us through Holy Spirit, which the disciples didn’t yet have at that time. But we know the answer remains the same because Jesus never changes (Hebrews 13:8). However, there are many who debate the role and identity of Jesus not only in history but also in theology. Views vary greatly and the question of who people say Jesus is often ignites a wide torrent of thoughts, beliefs, and emotions. Some think Him to be a great spiritual teacher; one of many who have passed through an incarnation to impart wisdom. Some indeed think Him to be a prophet but not the Messiah. Many think He came as the embodiment of ‘Christ-consciousness’ to show us that we too can tap into that same awareness and attain enlightenment through our higher selves. Many think He was just a good man who helped the poor, sick, needy and hurting; a man who loved and served without judgment as an example of how we are to live with one another. Many are quite ambivalent about Jesus' existence. They question, in the absence of tangible proof, the valid existence of God and Heaven or Satan and Hell; or anything supernatural for that matter. And there are those who simply reject the existence of Jesus altogether. They reject all forms of religion, including any type of Higher Power. Still, many do believe that Jesus was God’s Son. The key word here being "was" as in the past tense; that He came to do what He did all those years ago and that He did impact history, but is no longer relevant. Many believe we've evolved into a post-modern society and therefore no longer need Jesus or the Church as a dogmatic crutch and moral policing agent. They believe truth is relative and the Bible and salvation are impertinent; that Hell is a scare tactic or that Hell and Heaven purely represent one's state of living here on earth. And there are those who believe that Jesus does have a place in contemporary culture. They embrace Him but without commitment, sacrifice, or obedience. And then there are those who totally despise Him like the Pharisees and Sadducees did. Perhaps the only encounter some have had with Jesus is through legalistic religion and its left them soured or wounded. Perhaps some grew up in the faith of their parents and then decided as adults they weren’t so sure about this Jesus thing. Or perhaps they equate Jesus as God with a stern, negligent, absent or abusive father. And perhaps some people could not even answer the question of who they think Jesus is, to begin with because they’ve never ever heard of Him. It’s interesting because many denominations within Christianity even have differing beliefs. Obviously, there’s a general belief Jesus is the Christ or they wouldn't identify themselves as Christian at all. However, doctrine differs on baptism, spiritual gifts, biblical prophecy, Holy Spirit, the afterlife, and on and on it goes. Even we as Christians individually have our own perceptions about Jesus, many of which are defined by our personal experiences. I don’t say these things condescendingly. Rather I make this point because there are so many "versions" of Jesus floating around the world today; even in churches (just do a Google search). And perhaps that is why many people feel turned off or totally confused when it comes to who He is. They’ve heard or been taught so many different and often contradicting stories about Jesus, they just don’t know what to believe. Or if to believe at all. It almost leaves my head spinning. Even so, many do long for truth; although they might not recognize what or who exactly they’re longing for. But if we allow truth to speak for itself then that only takes us back to the questions Jesus posed to His disciples in the first place. When He asked them who others had said He was they gave a whole myriad of answers because there were just as many versions of Jesus running rampant back then as there are today. When He asked them who they thought He was, only Peter spoke up because only Peter knew. And, as Jesus pointed out to him and all the disciples, it wasn’t a human being who gave Peter that revelation of truth; it was God the Father, Himself, who did it. And therein lays the key. Understanding who Jesus really is won’t come through a collective consciousness of knowledge. It won’t come through individual logic, reasoning, intellect, or emotion. It won’t come through a talk show host or a guru’s book. It won’t even come through the act of going to church or temple. It only comes through a revelation of God by His Holy Spirit, which the Bible refers to as "the Spirit of truth" (John 16:13). And so, therefore, it is a spiritual matter and a personal one at that. Jesus is specifically interested in who you believe Him to be; He’s not at all interested in someone else deciding for you. For those of us who have known Christ for quite some time, perhaps since childhood, it may be easy to overlook how poignant and controversial He surely is. We’ve been churched most of our lives. We've lived in an atmosphere where Jesus has always been so common and pervasive that it might be easy for us to miss the profundity of Jesus for someone who’s never known Him. In other words, we might forget the shock-value of Jesus; of what it is to come into the truthful revelation of who He really is. Either we, as longtime Christians, are very blessed in that sense or we’ve fallen asleep to the stunning greatness of Jesus. Perhaps it’s both. In his book, Mere Christianity, C.S. Lewis writes, "Then comes the real shock. Among the Jews, there suddenly turns up a man who goes about talking as if He was God. He claims to forgive sins. He says He has always existed. He says He is coming to judge the world at the end of time. Now let us get this clear. Among Pantheists, like the Indians, anyone might say that he was a part of God or one with God: there would be nothing very odd about it. But this man, since He was Jewish, could not mean that kind of God. God in their language meant the Being outside of the world who had made it and was infinitely different from anything else. And when you have grasped that, you will see that what this man said was, quite simply, the most shocking thing that has ever been uttered by human lips." Lewis goes on to say, "One part of the claim tends to slip past us unnoticed because we have heard it so often that we no longer see what it amounts to. I mean the claim to forgive sins; all sins? Now unless God is the speaker, this is really so preposterous as to be comical. We can all understand how a man forgives offenses against himself. But what should we make of a man, himself unrobed and untrodden on, who announced that he forgave you for treading on another’s toes? Foolish unintelligence is the kindest description we should give of his conduct. Yet this is what Jesus did. He unhesitatingly behaved as if He was the party chiefly offended in all offenses. This makes sense only if He really was God whose laws are broken and whose love is wounded in every sin. If He were not God, it would imply a silliness and conceit unrivaled by any other character in history. Yet, even His enemies, when they read the Gospels, do not usually get the impression of silliness or conceit. Christ says that He is ‘humble and meek’ and we believe Him, not noticing that if He were merely a man, those are the very least characteristics we could attribute to some of His sayings." Lewis concludes, "I am trying here to prevent anyone saying the really foolish thing that people often say about Him: 'I’m ready to accept Jesus as a great moral teacher, but I don’t accept His claim to be God.' A man who was merely a man and said the sort of things Jesus said would not be a great moral teacher. Either this man was, and is, the Son of God; or else a madman or lunatic or something worse. You can shut Him up for a fool, you can spit at Him and kill Him as a demon, or you can fall at His feet and call Him Lord and God. But let us not come with any patronizing nonsense about His being a great human teacher. He has not left that open to us. He did not intend to." Clearly, who Jesus is to a believer versus whom He is to someone of another belief system is totally different. To a follower of Christ, He is our Savior but does it end there? Do we allow Him total control over our lives or is salvation enough? Do we just equate Jesus with religion or do we view Him in the context of a personal relationship? Is He a distant Redeemer, one we commune with only on Sundays or is He a close personal friend we talk to every day? Do we, nowadays, believe in the same Jesus we read of in the Bible? Do we believe in a Jesus who still heals? Who still performs miracles? Still raises the dead? Still casts out demons? Still prophesies? Or was that just who He was way back then? Is it possible for Jesus to be progressively relevant to this present generation? Is He still the God of the impossible in this Information Age (aka the Digital and Wireless Age)? Okay, let’s get real. Is He really able to do abundantly, exceedingly above all that we could ask or imagine or not? I mean can Jesus do today what’s never been done before or is He tanked-out after all these centuries? "But what about you? Who do you say I am?" I truly believe Jesus is still asking these very questions. I truly believe they’re still relevant. And I truly believe He is still waiting to hear a response from people. And so this means that I believe He does indeed live; He not only was but He is and is to come. Jesus was radical in all He did; He still is. He was radical in His love; He still is. He was radical in His grace; He still is. He was radical in His mercy; He still is. He was radical in His claims; He still is. He was also radical in the sense He left no stone unturned. Everything Jesus did He did so absolutely and completely; Satan would never be able to default Him on anything. Jesus overlooked nothing. Still, the world debates Him. But regardless of all the versions, opinions, conjecture and hype, Jesus stands tall above the rest and He does it all on His own. Why else would the mere mention of His name stir up such highly charged emotion and controversy? 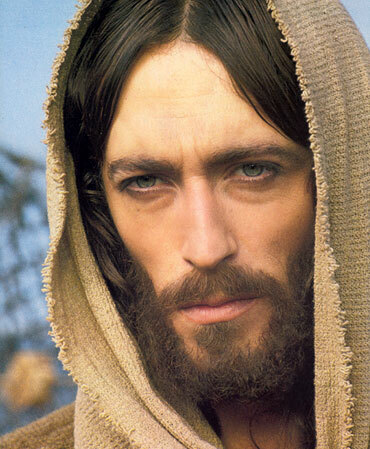 One thing's for certain; everybody truly has their own opinions and beliefs about Jesus of Nazareth. And yet He’s the one who allows us even that very freedom - the freedom to choose. And so His question still echoes throughout the ethers of time. Can you hear it? And even more resounding are His all-encompassing questions. Questions that have astonished, offended, humbled, shocked, and moved many. Questions only you can answer for yourself.